What do I need to buy for school? We would like all children to take pride in their school and their uniform and make extra effort to wear the correct shoes and jackets as well as the standard uniform. Book bags may be purchased on-line from the School Trends Uniform shop. Nursery and Reception children will have Pack Folders which are also purchased on-line from the School Trends Uniform shop. Water bottles may be purchased from the school office for £1.60. You can order and pay for school uniforms online from School Trends. There are no minimum order quantities and your uniform will be delivered directly to your chosen address. Delivery charges for orders under £50 excluding VAT are £4.95. Alternatively you can have your order delivered to the school during term time only free of charge. Please note that the school will not be responsible for orders or any tracking information and you will need to contact School Trends directly for information or queries. Other ordering information including sizes, delivery information and the returns procedure is also available on the website. 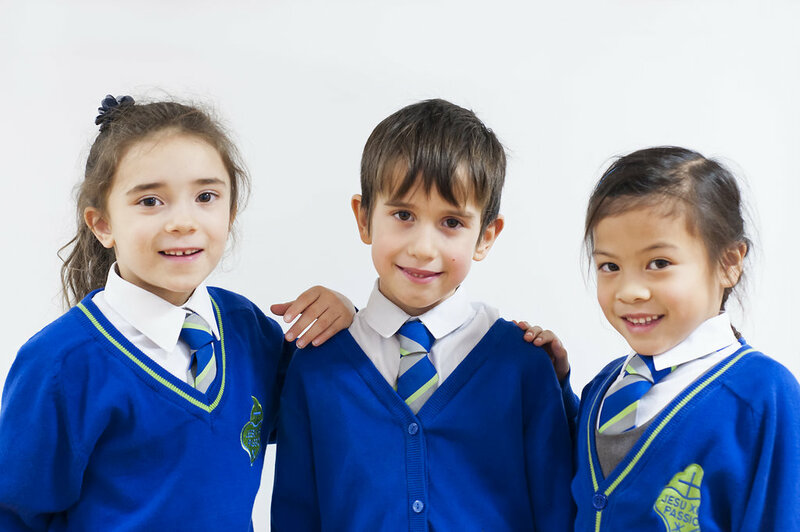 As well as our approved school uniform with our school logo, you can also order plain items such as trousers, skirts and shirts should you wish. A list of uniform items for both boys and girls is attached. We would like all children to take pride in their school and their uniform and so make an extra effort to wear the correct shoes and jackets as well as the standard uniform. Please also ensure that your child’s name is written on all clothes in case they are lost. Please find attached document a description of our school uniform for boys and girls: Uniform List.